Parade’s End font here refers to the font used in the title of Parade’s End, which is a television series premiered on BBC in 2012. The TV series centers on a love triangle between a conservative English aristocrat, his mean socialite wife and a young suffragette. The font used for the title of the TV series is Baskerville 10 Pro Italic. The font is a commercial one and you can view more details about it here. 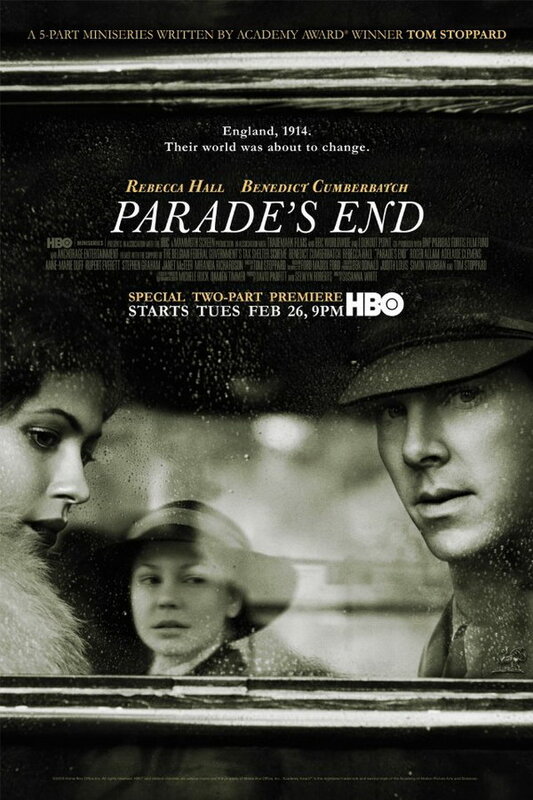 In addition to Parade’s End, Baskerville typeface is also used in the following logos, movie posters or album covers etc., including: Age of Mythology, Annabelle Creation, The Water Horse, American Gangster, Fullmetal Alchemist, The Moth Diaries, JFK, New Jack City, Virginia is for Lovers, The Government of Canada, Zeel Logo, Wasting All These Tears, Nothing but the Truth, Bruster’s Ice Cream, Verisign.